Hit on the “Careers” link available at the top menu bar of the page. On the next page, you have to hit on “Apprenticeship Training” link. Thereafter page will appear from where you have to hit on “Technician (Diploma) Apprentices and Trade (ITI / ITC) Apprentices - Notification in English/ Malayalam” link. 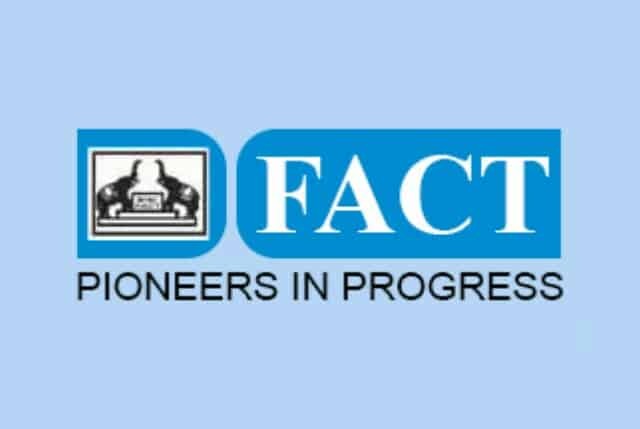 A FACT Recruitment notification 2019 will appear at your screen, check the details carefully. Now go back to the previous page and hit on “Technician (Diploma) Apprentices - Application Form” or “Trade (ITI / ITC) Apprentices - Application Form” link as per your preference. Thereafter fill the application form as per the guidelines and upload required documents. On next step pay fee if required. Finally, submit the details and print a receipt of the submitted application form.